Hello, blog readers! 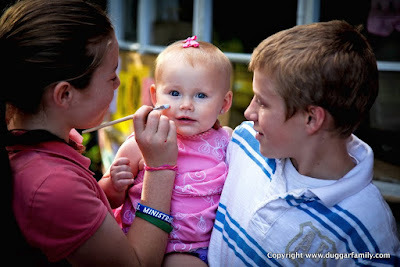 It's Ellie, blog creator, primary author, and friend of the Duggars. As someone who has blogged about the Duggar family for almost nine years, I have had the pleasure of announcing a lot of pregnancies. Today I have another pregnancy announcement to make, but the expectant mother is not one of the Duggars...it's me! My husband and I are expecting our first baby in four months, and we couldn't be happier. For more details, visit our lifestyle blog, NashvilleWife.com. "I think [college] was really good for me. It's something I can look at and say, and tell my kids, 'Hey look what I did.'" You're not going to want to miss this web exclusive video. 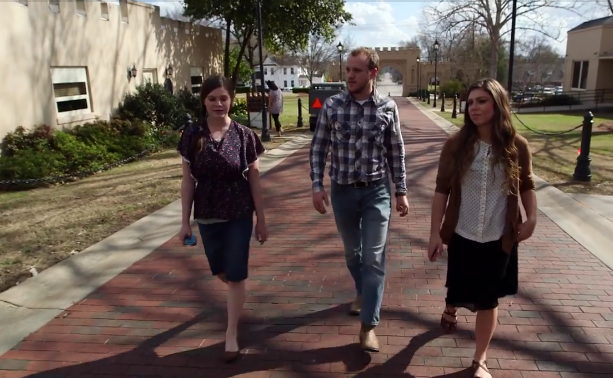 During his time in Lauren's hometown of Milledgeville, Georgia, Josiah is treated to a tour of the college that Lauren and her sister Lilly attended. Through a dual enrollment program, they both earned an associate degree--Lauren in nursing and Lilly in early childhood education--by the time they graduated high school. Lilly is planning to further her education with a bachelor's in teaching and a master's in speech pathology, while Lauren says she is done with school. If you missed this week's new episode of Counting On, "Josiah Pops the Question," or are unable to watch it due to your geographical location, check out my review video below. 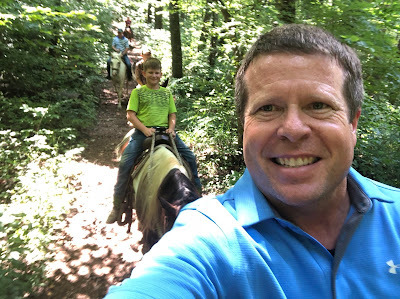 For those who were unable to view the video of Joe and Kendra Duggar on their honeymoon, it has been uploaded to YouTube, and we have embedded it below. Enjoy! Today is Josiah Duggar's 22nd birthday! It has been a big year for him, as he and Lauren have gone from friends to married couple. To provide for his wife of two months, Josiah flips cars, works in the family real estate business, and does construction. 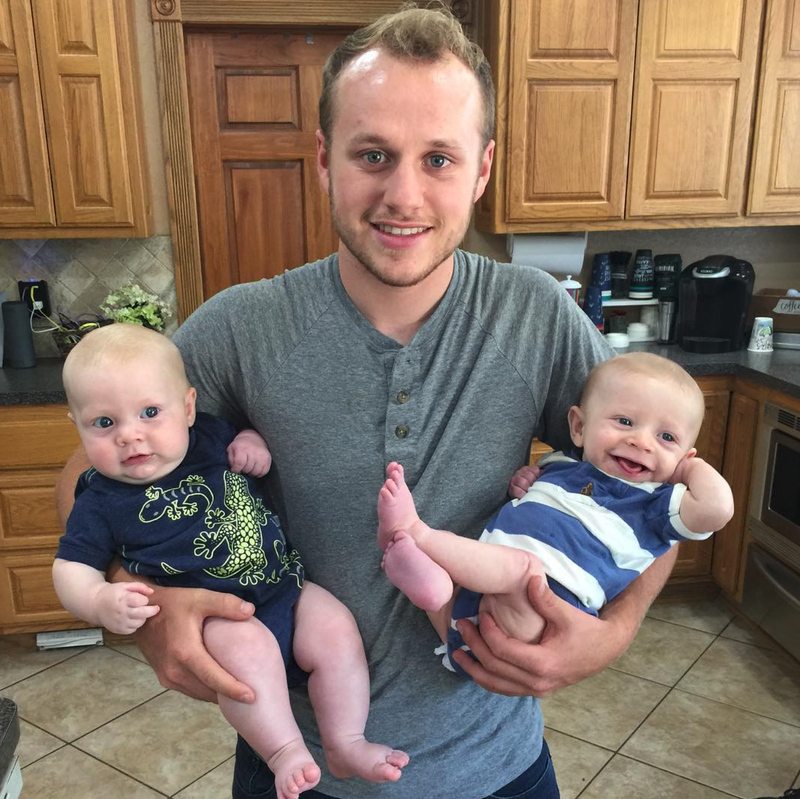 His middle name is Matthew, and on last night's episode, we learned that he has the same middle name as Lauren's six-month-old brother, Duke--pictured below with Gideon Forsyth. According to Dwain Swanson, the name decision was partly because of Josiah. Jeremy: "How did your mom do it with 19 kids?" 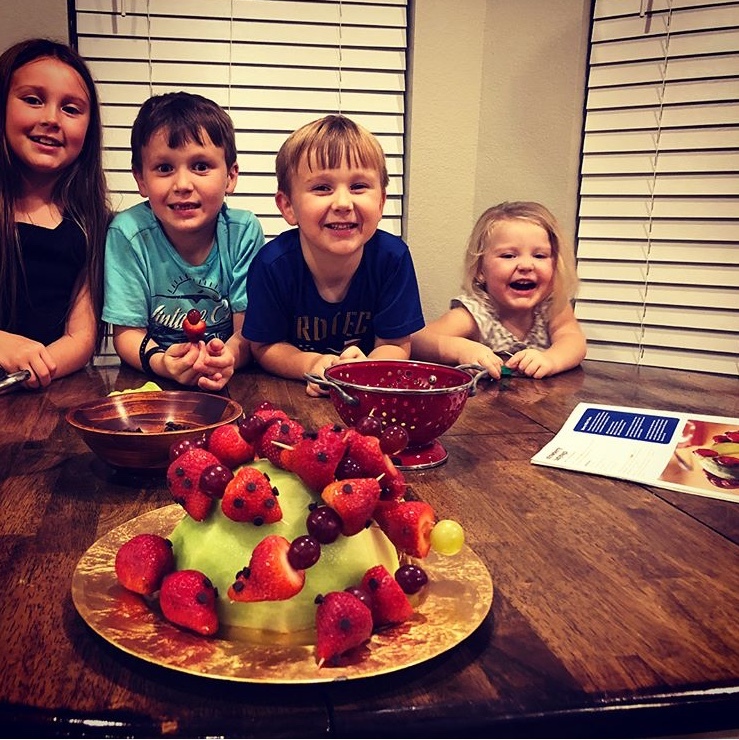 After watching Jinger and Jeremy Vuolo babysit their friends' children on tonight's new episode of Counting On, do you think they are ready for parenthood? If you missed the episode, you can sign in with your TV provider and watch it on the TLC website. And be sure to read our written recap. Counting On "Josiah Pops the Question"
In Laredo, Jinger and Jeremy are visited by Luis and Cara Robles and their three kids, Eli, Olivia, and Emily. Luis and Jeremy were teammates on the New York Red Bulls professional soccer team. "Back in the day, I was the single guy," says Jeremy. "They were the settled down, married couple. It was just a good relationship we had." During the visit, Jinger and Jeremy volunteer to watch the kids so Luis and Cara can go out for dinner. When jokingly asked what qualifies them to watch the kids, Jeremy responds. "I used to be a kid. She has 36 siblings that she watched." Jinger: "I've changed hundreds, if not thousands, of diapers in my lifetime." Jessa: "My mom and dad changed the bulk of the diapers, but all of us kids definitely got our share." 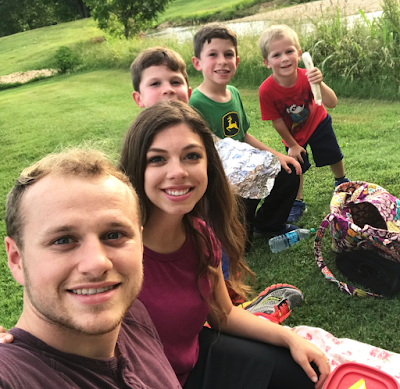 After Luis and Cara leave, Jinger and Jeremy and the kids enjoy playtime in the backyard before ordering pizza. "How did your mom do it with 19 kids?" Jeremy asks Jinger. 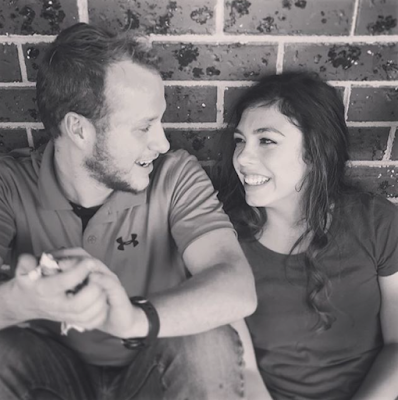 "She's amazing," responds Jinger. "She really is," agrees Jeremy. 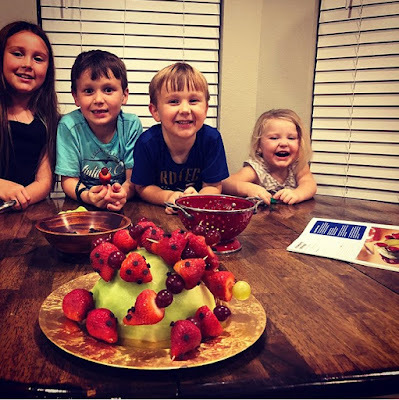 Jinger and Jeremy's babysitting experience ends up going very well. "I think we're ready for our own," says Jeremy. Lauren and her family, who have recently moved to Northwest Arkansas, are preparing to travel back to Milledgeville, Georgia, where their family has lived for more than 100 years, so mom Lana can give birth to her ninth child. It's a boy, and his name will be Duke. Dwain and Lana Swanson give their daughters "L" names and their sons "D" names. Lauren tears up as she piles into a big bus with her family and waves goodbye to Josiah. At this point, Josiah and Lauren have been courting for a couple months. "We've really become just best friends," says Lauren. Lauren's parents approve of the relationship. "I think Josiah is a great match for Lauren," says Lana. "He's so thoughtful and kind. I just think he's wonderful." "[Josiah] and Lauren are just kind of a natural fit for each other," adds Dwain. A short while later, Josiah flies commercial to Georgia to meet the new baby and propose to Lauren. "I think I may be more nervous about losing the ring than the proposal," he admits. Josiah is thrilled to meet Duke Matthew Swanson, who weighs just over 7 lbs. Random fact: Lana's longest labor (around eight hours) was with Lauren. 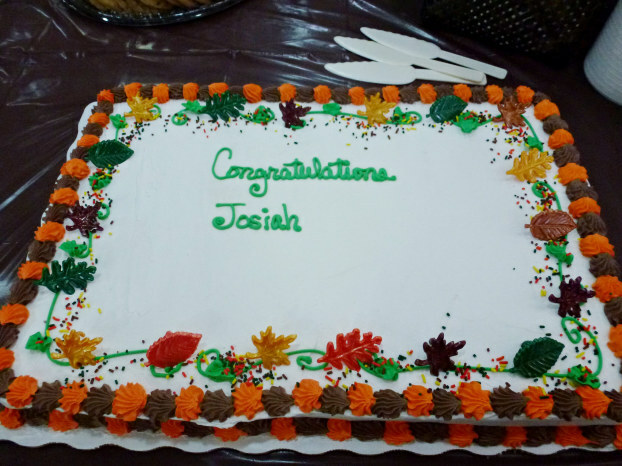 Duke shares a middle name with Josiah, a decision that Dwain says was partly because of Josiah. The following day, Dwain and David (Lauren's brother) help Josiah set up the proposal site in a field where Dwain proposed to Lana. Using a stack of hay bales, the guys string flours, place picture frames, and scatter flower petals. 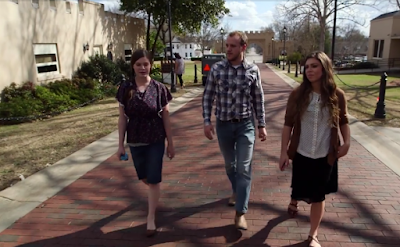 After a family lunch of Chick-fil-A, Dwain suggests that he, Josiah, and Lauren go on a walk. As they arrive at the proposal site, Dwain walks away, and Josiah gets down on one knee. "I'm so grateful for you," he tells Lauren. "There's nobody I'd rather spend, nowhere else I'd spend the rest of my life with, than you. God has been the one bringing us together in this. He is the one making our story. I see how perfect we are for each other. Lauren, I love you. I want to spend the rest of my days growing old with you. Will you marry me?" And Lauren, completely surprised, says, "I'd love to, Si." Bring on the hand holding and the "I love yous." Back in Arkansas, as Joy nears her due date, she and Jessa go on a walk at an indoor track. Jessa tells Joy that her labor pains were "agony" and also that the most important thing is to not get discouraged. Have you heard Derick Dillard's exciting news? He is now a law school student, and tomorrow marks the start of his third week. For those who have pursued a postgraduate education, you know how time consuming it is. This weekend, he and Jill enjoyed a much needed date night at a sushi restaurant, while Derick's mom watched Israel and Samuel. "We got a dart board soon after moving into the house, and [I] realized Jinger has quite the affinity for, and she's quite good." Apparently Jinger (Duggar) Vuolo has a competitive streak! Would you have guessed that, based on seeing her on the show over the years? She and Jeremy have started playing darts, and they enjoy competing against each other. Earlier this month, Jim Bob Duggar and some of the Duggar guys attended father-son camp at Fort Rock, owned by Joy-Anna (Duggar) Forsyth's in-laws. 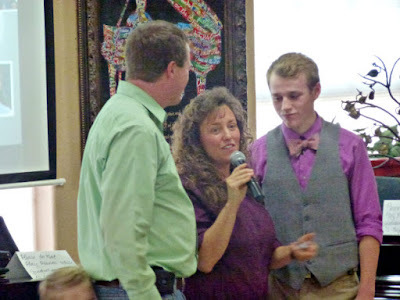 They were joined by Anna Duggar's brother-in-law, David Waller, and nephew Paul. Meanwhile, Anna bonded with her sister, Priscilla Waller, and David and Priscilla's other children, Davia and Phillip. It's not often that we are able to post photos of Josh and Anna Duggar's five children, so we know it's a treat for our loyal readers whenever we do. These little Duggars are growing quickly, with Mackynzie approaching her ninth birthday. Last night, they made strawberry ladybugs for dessert. Counting On "An Explosive Reveal"
In Laredo, Jinger and Jeremy are celebrating their one-year wedding anniversary. They reminisce about their first year as husband and wife during dinner at a restaurant. "You never make me feel like I have to measure up to some standard," Jinger tells Jeremy. "You are the standard," replies Jeremy. "One thing that surprised me about Jinger specifically was she really opened up a lot in her sense of humor, and she can crack some jokes, and she can play some pranks," shares Jeremy. 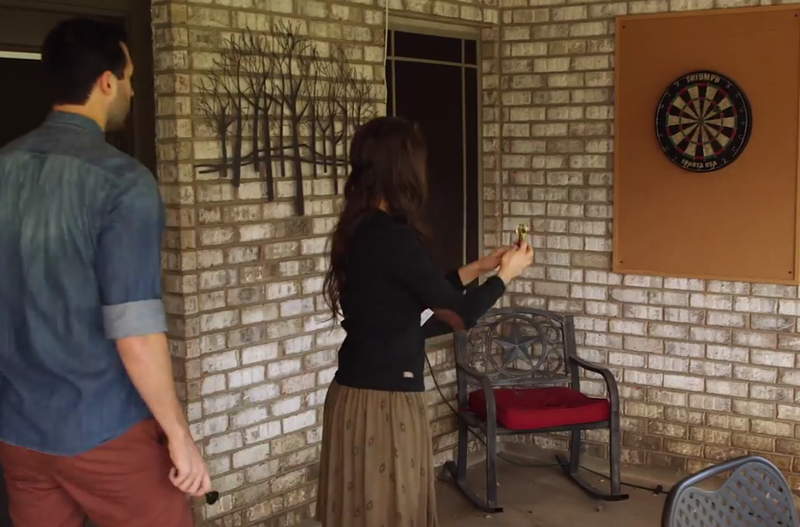 At the restaurant, Jeremy presents Jinger with a book of sheet music to "Come Thou Fount," a song that was played during their proposal and wedding. 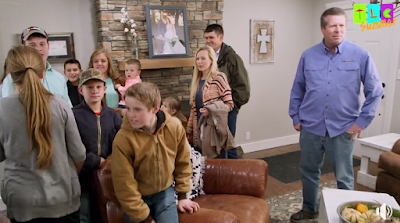 Meanwhile, John-David flies Jim Bob, Michelle, Jedidiah, Jeremiah, Jason, James, Justin, Jackson, and Tyler to Laredo to surprise Jinger. They arrive at Jinger and Jeremy's house just before the piano (another surprise from Jeremy) is delivered. "Our one-year anniversary is the perfect time for the family to surprise Jinger with a visit because she has been feeling homesick, and so she'll be very excited to see them," says Jeremy. When Jinger and Jeremy arrive home from dinner, Jinger is shocked to see a beautiful black standup piano in their living room. "Jeremy, how is this possible?!" she exclaims. "I love it! I can't believe I have my own piano." After the big piano reveal, the family busts out into the living room. Jinger is floored and gives her mom and dad a long hug, accompanied by tears of joy. The following day, Jinger and Michelle spend time together at the house while the guys go grocery shopping. 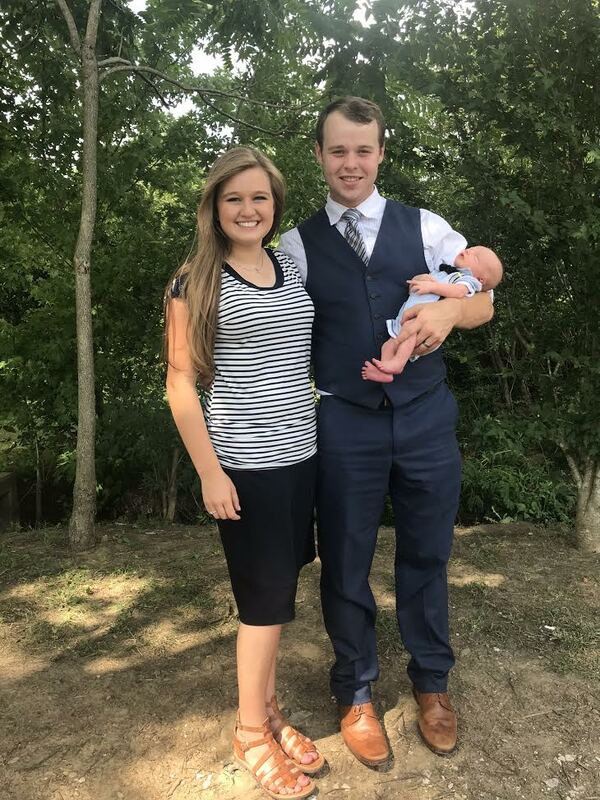 "It definitely can be hard living far from family, especially now that I'm expecting," says Jinger. She is looking forward to having her mom at the birth for comfort. Later, the guys prepare two Duggar favorites (which Jinger loves) that Jeremy has not yet tried: canned tuna fish with barbecue sauce and tater tot casserole. Jeremy ends up liking both dishes. "It's been wonderful," says Jinger of the family's visit. "I just don't want you guys to leave now." Back in Arkansas, Joy and Austin put the crib together and set up the baby's room. The Forsyths still haven't found out the gender. Austin wants to, but Joy does not. Joe and Kendra, on the other hand, are for sure going to find out. John comes with them to the 17-week ultrasound. At the gender reveal party that the Duggars throw at their house, both sides of the family gather around to watch John shoot a box of colored explosives, which will produce either a pink or blue cloud. "...I have been in law enforcement for the past six years and have extensive firearms training," explains John. It's a boy! "I'm so excited!" says Kendra. She had guessed girl, as had both of her parents. After having only courted Lauren for several weeks, Josiah asks Lauren's dad for his blessing to propose. "I just really know in my heart that Lauren is the one," Josiah tells Dwain Swanson. Before saying yes, Dwain asks Josiah three questions: Do you know Lauren's love language? It is words of affirmation. Will you be diligent to not go to bed until you have worked through things? Josiah says yes. What are your plans as far as your life's work? Flipping cars, real estate, construction, and "as much as I can to provide"
"I know that, as we have raised Lauren, that she is ready," says Dwain. An all-new, 60-minute episode of Counting On airs tonight at 9pm ET/8pm CT on TLC. Jinger and Jeremy Vuolo are celebrating their one-year wedding anniversary, and Jeremy has two huge surprises for his wife. Find out what they are and see Jinger's reactions in the promo video below. 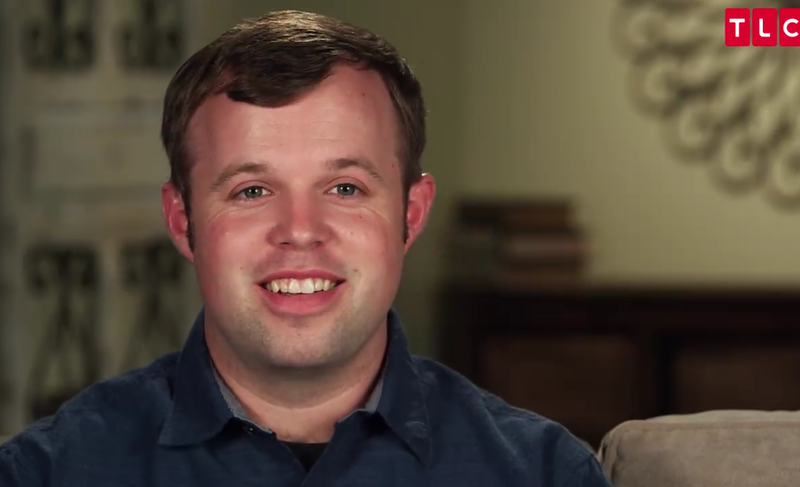 Also tonight, Joseph and Kendra Duggar reveal the gender of their child to both families, and Josiah Duggar seeks the blessing of Lauren Swanson's father to propose. Felicity Vuolo was born on July 19th, which makes her one month old. Speaking of Duggar milestones, we know that many of you are wondering when we are going to update the banner at the top of the blog. After all, multiple new family members have been added since we made the last change. A new one is in the works, but they take quite a bit of time, so we thank you for your patience. 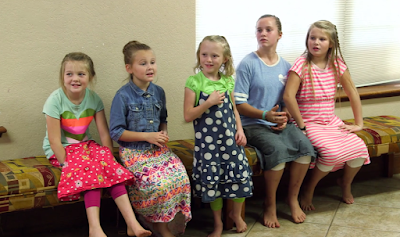 Our top priority is providing our readers with the latest Duggar content, so updating the banner always comes second. "Nothing you can do is going to work to pull that information out of me, except for maybe we could talk a price. This is world changing stuff right here. I mean, this is information that dictates whether the room is going to be painted pink or whether it is going to be painted blue." Tomorrow on an all-new episode of Counting On, Joseph and Kendra Duggar reveal the gender of their baby to the family! 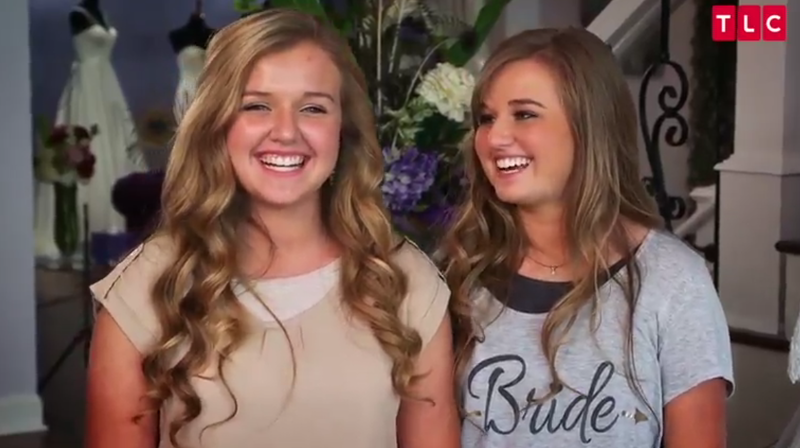 They want to be surprised along with everyone else, so they invite John-David Duggar to accompany them to the ultrasound (see video below) so he can be the one to share the news in an exciting way. Felicity Vuolo is already four weeks old! This photo of mom and baby shows a closeup of Felicity's sweet little newborn face. Which parent do you see most in her, Jinger or Jeremy? 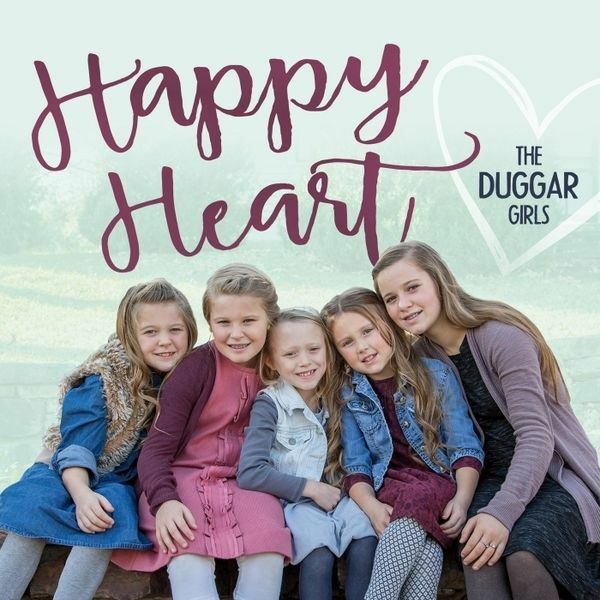 Have you heard about the album that the four youngest Duggar siblings, plus Mackynzie, just released? It's called "Happy Heart," and it's available for purchase. In the Counting On video clip below, the girls practice their songs with Aunt Deanna Duggar and Mom Michelle Duggar. 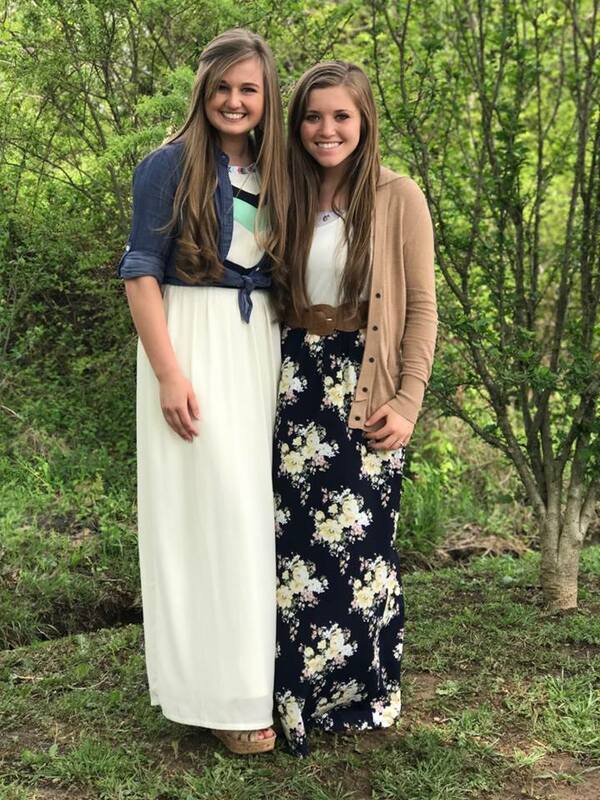 As far as appearance goes, which of the older Duggars do you think each of the younger girls looks most like? When in Athens, buying custom sandals is the thing to do. 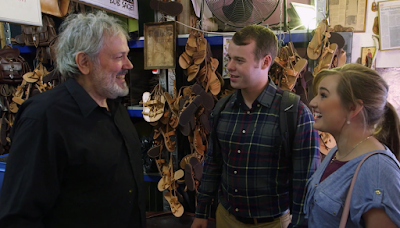 During their honeymoon in Greece, Joe and Kendra Duggar visit a third generation sandal maker, who fits them each with a pair of leather sandals (video below). Apparently "Kendra has perfect feet, but Joe, not so perfect." For those who haven't yet seen Monday's new episode of Counting On, "Jinger and Jeremy's Little Secret," it is available on TLC.com, although you must sign in with a TV provider in order to watch. "Being on a boat in water can be romantic. I don’t know if, necessarily, fishing is." 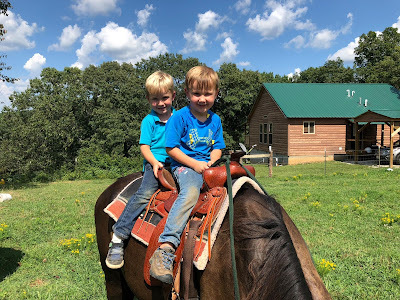 Five weeks before their due date, Joy and Austin Forsyth spend time together in a yurt cabin in Wesley, Arkansas (video below). Did you catch our recap of last night's show? Counting On "Jinger and Jeremy's Little Secret"
Jessa and Ben take their kids to a nearby creamery to pet goats and pick up some goat cheese. 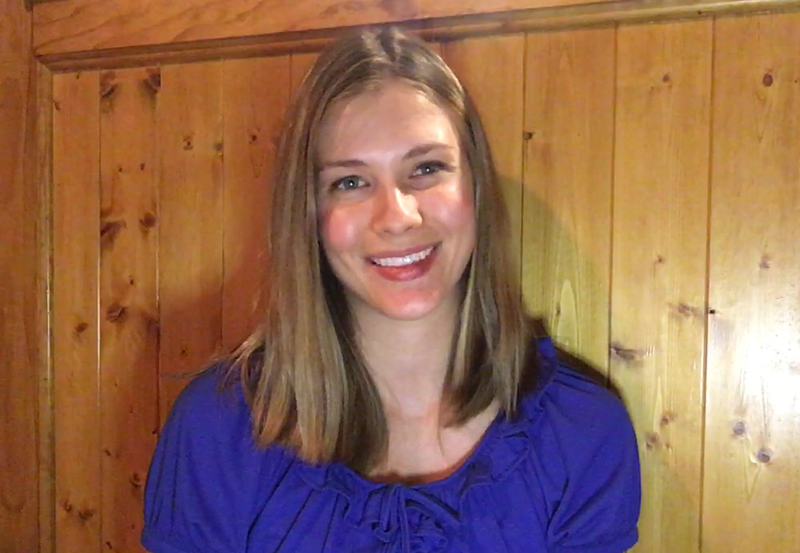 “Ben is always looking for local, organic things to add into our regular diet,” says Jessa. Ben’s family is health conscious, and they try to eat plenty of whole grains and veggies. Later, Jinger and Jeremy arrive in Arkansas so Jinger can take photos for the little girls’ CD. 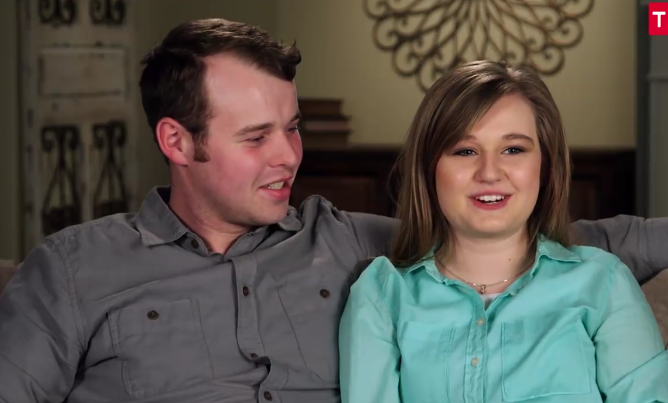 They are also going to tell the family that Jinger is six weeks pregnant. Several family members come to watch the shoot, including Jim Bob, Michelle, and Jana. “If you’re going to do a photo shoot with a bunch of kids for about an hour, it’s going to get chaotic, and sure enough, it was,” says Jeremy. The five girls (Johannah, Jennifer, Jordyn, Josie, and Mackynzie) are full of energy. Jinger and Jeremy ask Jim Bob to take a photo of the two of them. At the last minute, Jinger pulls out a “We’re expecting” sign, and the family is absolutely thrilled, especially Jim Bob and Michelle. “We had no idea, not a clue!” exclaims Michelle. Later, the Vuolos break the news to the rest of the clan during a family meal. Jeremy says the prayer, and he thanks God for “the little one that You have given to me and Jinger.” All the siblings are excited. "I cannot wait to talk to my mom," says Jinger. "She has a lot of experience in this field and so [do my] sisters." “But in the ice, it’s not as romantic,” adds Joy. After dinner that night, the Forsyths put together a baby book scrapbook. "Growing up, my mom was really good at taking pictures, and so we have tons of pictures," says Jessa. "And she would record all of our milestones...in our family calendars." Earlier today, we announced Derick Dillard's graduation from the Cross Church School of Ministry, and we promised that we would soon share further details about the Dillards' next step. We can finally reveal that next step. Are you ready? Derick is going to law school! Derick has been accepted into the University of Arkansas School of Law. Orientation begins today, and classes kick off next Monday. Big news from the Dillards. Derick has just graduated from the Cross Church School of Ministry, a one-year residency program that he has been a part of since last August. 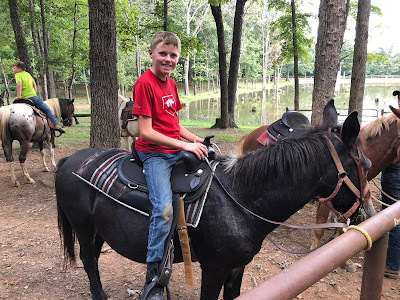 In addition to serving at Cross Church, doing local missions projects, working with college students, and participating in multiple mission trips, Derick also took some seminary classes. Stay tuned for more news on what the Dillards will be doing next. 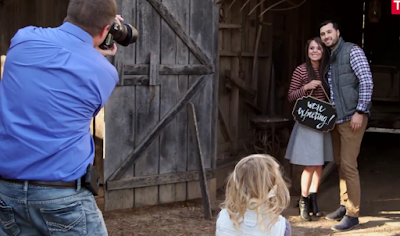 It has been a crazy day, but we wanted to jump on and wish Kendra Duggar a very happy birthday! One year ago today, she was choosing her wedding dress in Mt. Sterling, Kentucky, with fiance Joseph Duggar showing up to surprise her for cake and pizza. Today, she's been a wife for eleven months and a mother for two. Happy 20th, Kendra! The fall semester at The Master's Seminary, founded by John MacArthur, begins today, and Jeremy Vuolo is a student. The school is located in Los Angeles, California, but Jeremy is taking online classes. In addition to being president of The Master's University and Seminary, John MacArthur is also the pastor at Grace Community Church in Sun Valley, California. Coincidentally, Jeremy's church in Laredo, Texas, is also called Grace Community. As you can see in the photo above, one of the many perks of online classes is being able to cuddle your newborn while listening to lectures. This evening on Counting On, we watched Johannah Duggar, Jennifer Duggar, Jordyn Duggar, Josie Duggar, and Mackynzie Duggar record a children's music album, with help from Aunt Deanna Duggar and a Nashville producer. Since filming, the album has been completed and is available for purchase. The project is a dream come true for Deanna, Jim Bob's only sibling. As a vocalist, she has helped teach her nieces and nephews how to sing and has always desired to record an album. Below are the album purchase links. Counting On "Make Room for Baby"
The show kicks off with a look at Joseph and Kendra’s house, a project that has taken about seven months. Joe has done much of the work, including hardwood floors, cabinets, and countertops, on his own. When asked by the producer what some of the drawbacks of living on the Duggar property would be, Jinger replies: “The drawbacks? 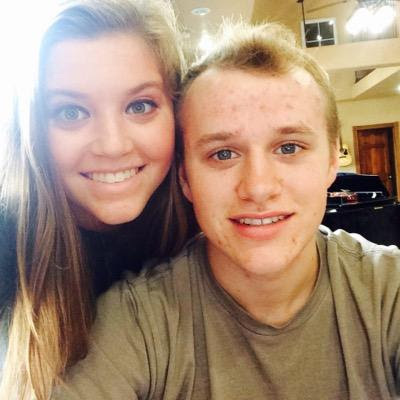 Just kids looking in the windows 24/7.” Joe and Kendra trust that Joe’s parents will be supportive of their boundaries. In Laredo, Jinger and Jeremy go piano shopping. “[Jinger] is playing on a little keyboard in the house, and as beautiful as that sounds when she plays all day, I just wanted to see what options there might be to get her a proper piano,” says Jeremy. The Duggar siblings agree that Jinger is the most musically talented in their family. At the big house, Josiah makes fajitas for Lauren. “At this point, I’m still trying to impress Lauren with all my skills and everything I’ve got, outside and in the kitchen, so I think this will turn out right,” says Josiah. Lauren has a gluten sensitivity, which makes the task a bit challenging. Josiah adds some leftover rice and beans to the meal. He finds some guacamole in the fridge, but Lauren tries it and says it tastes awful. Lauren is touched by the meal. “I though it was sweet of him to do it,” says Lauren. “He was trying to make it authentic because I am [Salvadoran], so I like that food.” Apparently, food is Josiah’s love language. During the lunch conversation, we learn that courtship was a new concept to Lauren and her parents but that they were on-board. Thirty weeks into their pregnancy, Joy and Austin have an appointment with their midwife, Lucy. After a finger prick, which Joy does not enjoy, they find out that Joy’s glucose level is a little high but that her iron is good. She is told by the midwife that her diet needs to improve, especially with more greens. Joy is trying to stay away from sugar. “We want a home birth,” says Austin. “We’re going to try, but we’re not going to risk Mom and Baby’s life.” They will set up a birthing pool to have that as an option. “You kind of continue on with your life,” says Austin of the births that he has seen as an EMT. “But it is a lot different because she is my life and this is our life. I don’t know how I’m going to handle myself. “There’s things that I’m not very good at,” Jana assures viewers. “Sports is one of them. “Having 18 additional siblings is a lot, but at the same time, when the whole clan is able to come and help, things can get done really fast,” says Kendra. Later, the Duggars and Caldwells arrive for a tour. “The kids have done such a great job on putting this house together,” says Jim Bob. In addition to all the regular rooms, Joe and Kendra also have a game room with a ping pong table. The outside of the house is a cabin, but the inside is modern, with lots of grays and whites. At the end of the tour, the newlyweds open the door to the nursery, decorated by Jana and Jessa. (The furniture was purchased from consignment shops and repurposed by Jessa.) “You’re pregnant?” asks Michelle, giving both of them big hugs. “It seems like we’re having grandbabies faster than we had babies,” says Jim bob. At 13 weeks, Joe and Kendra have their first obstetrician appointment. Kendra has chosen to deliver in a hospital with Dr. Hannah, recommended by her mom. Kendra has an ultrasound, but the doctor isn’t able to see the gender just yet. “I think it just makes your heart skip a beat when you see the baby in there,” she says. 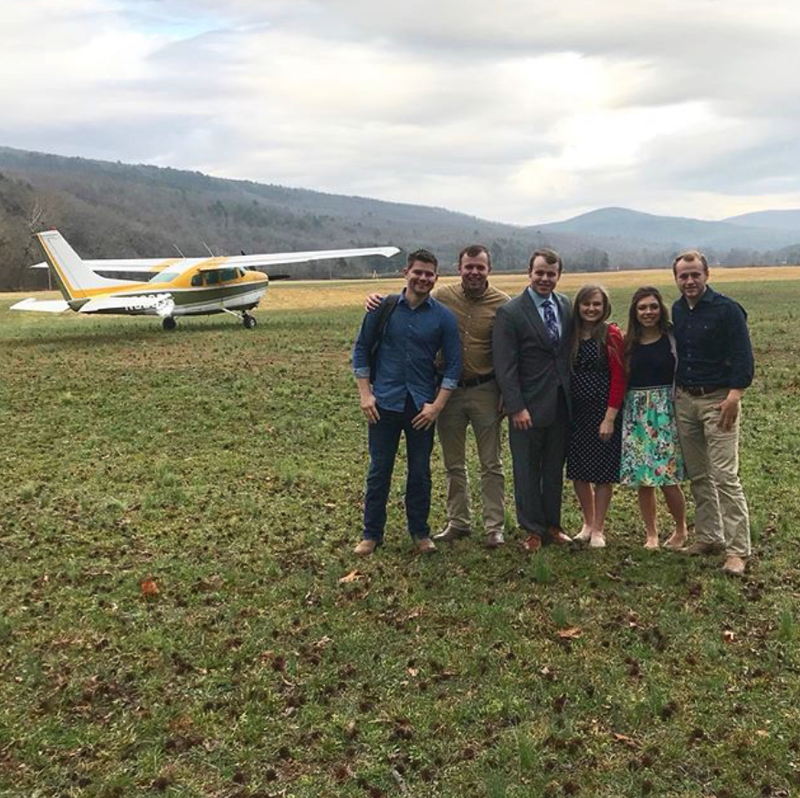 In Downingtown, Pennsylvania, Jinger and Jeremy, who have recently found out that they are expecting, are visiting with Chuck and Diana. During breakfast, Jinger and Jeremy announce their pregnancy with a pair of booties and a note addressed to "Grandma and Grandpa." It takes a moment for Diana to process the news, but she and Chuck are elated. At this point, the only other people who know about the baby are Jessa and Ben. That evening, the Vuolos all attend a gala for Diana’s charity, SWAN, which is a music mentoring program for children whose parents are incarcerated. One of the students sings “Wayfaring Stranger,” and Jinger accompanies on piano. Meanwhile, Joy and Austin are hard at work on their house. They are planning on putting this house on the market a couple months after the baby arrives. At least that’s what Austin is planning. Joy votes for waiting a little longer, but it doesn’t sound like Austin will go for that. “…Since Joy’s been pregnant, that hasn’t really slowed us down,” says Austin. Now in her third trimester, Joy has improved her diet and shares that her health has also improved. John flies Michelle, Jim Bob, Jana, Johannah, Jennifer, Jordyn, Josie, and Mackynzie to Nashville so the little girls can record a CD at Oak Tree Studio. They meet up with Grandma, Aunt Deanna, Amy, and a producer. “The little girls’ CD project I think has been something that my aunt Deanna has always really wanted to do,” says Jana. The project is called Happy Heart and features songs written by Deanna (details coming soon). Josiah takes Lauren and seven of her eight siblings (Lily, 16; David, 14; Lydia, 11; Daniel, 8; Dustin, 6; Drew, 4; Luci, 2) out for ice cream. She also has a newborn brother, Duke, who is two days apart in age from Gideon Forsyth.